1985 Morgan 32′ sailboat. 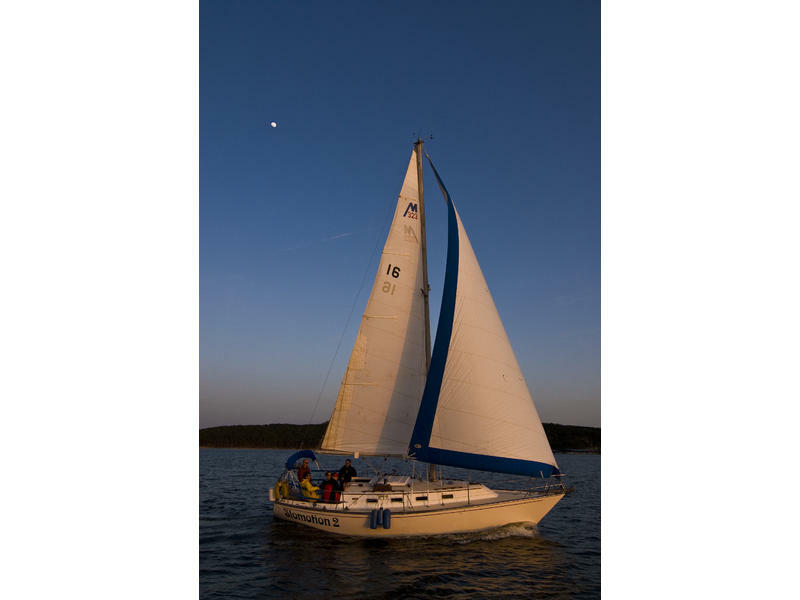 Great heavy weather sailing vessel handles well with full sails up to 25 knots of wind. Large vberth with cabin door, fold out double, settee and aft quarter berth. Sails are in great condition. Roller furling system, Anchor winch, Self tailing winches, Lines lead to cockpit for single handed sailing, New bimini cover last summer, New propane stove/oven, Hot water heater, two sinks, 25 gallon fresh water, 25 gallon holding tank, Marine head, all wood interior, large hanging locker with shelves, TV/DVD combo, Stereo, XM satellite radio, eight opening ports, Wheel steering with autopilot, fresh water wash down pump, wind speed, direction and boat speed guages, 25hp diesel engine.